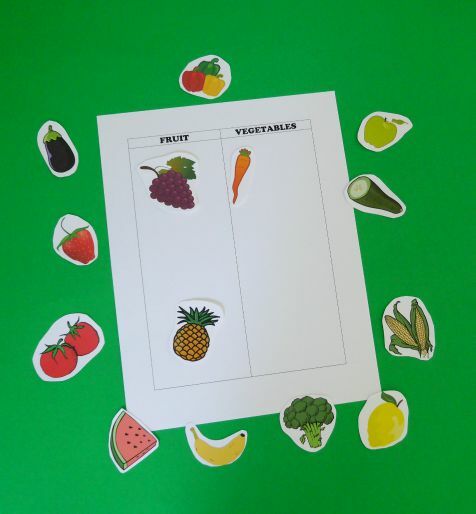 Kids will love this fun Fruit or Vegetable sorting game! Print onto white cardstock and cut out each item of food. Laminate for repeated play. Full tutorial can be found here.